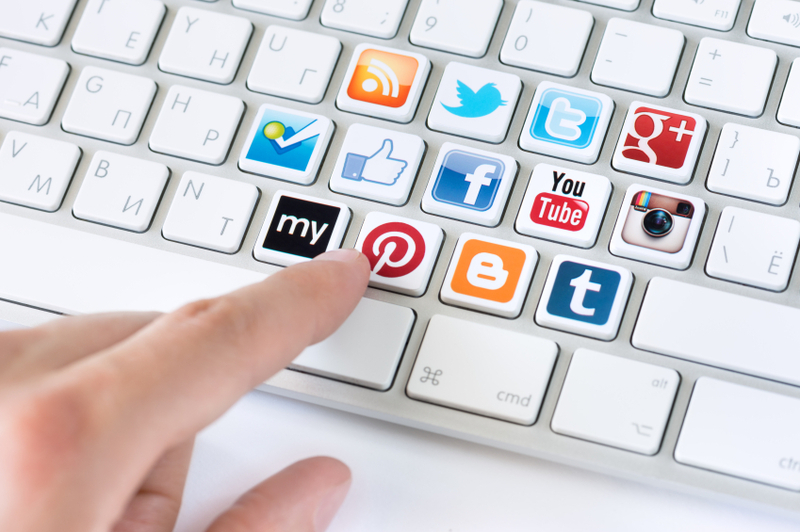 Keeping up with social media for your business can be overwhelming. And finding the right time to post to each site to maximize your results is essential in gaining traffic and staying engaged with your followers. Thankfully, there are tools that can help you better manage your time, giving you more time to focus on other aspects of your business. These tools are especially helpful for small businesses that don’t have a social media specialist on staff. Posting to each site in real time can be very time-consuming. By utilizing the tools available, you can schedule your posts to hit during your peak traffic time, or to be scattered throughout the day. Many of these tools also offer analytics to help you determine what time of day that may be. The best part is, many of these tools offer basic services for free, with upgraded services available for a fee. Plus, the tools work with the most popular social media applications, including Facebook, Twitter, LinkedIn and Google +. 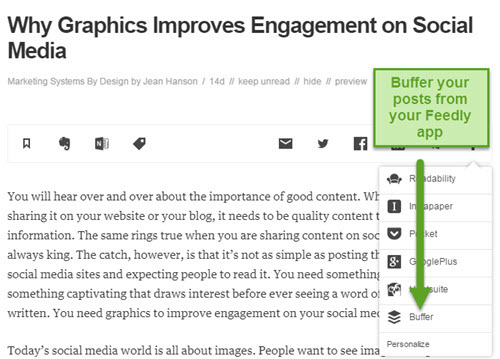 Probably the most noteworthy tool for scheduling social media posts is Buffer. From its ease of use to its glowing reviews, users feel like this tool is the cream of the crop. Single users can schedule up to 10 updates at a time. For businesses, they offer monthly plans that give access to five users, strong analytics and integrated RSS feeds. 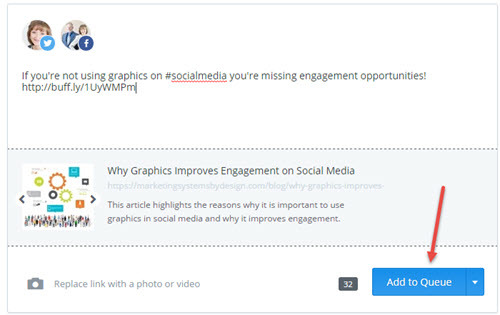 Of course scheduling posts to your own blog content is great, but you can also share other people’s useful content. Just make a comment as to why your followers should check out this content, and add the link to your post. This gives you a steady stream of engaging content flowing to your audience. Plus it gets you on the radar of the people whose content you’re sharing. If you’re looking for influencers in your industry, this is a great way to do just that. So how does it work? It’s very easy to use. You simply add updates to your line up and Buffer takes care of scheduling the posts. By doing this, you are able to enter several different posts all at once, keeping you from having to log in and post several times a day. Buffer then spaces out the posts throughout the day. This keeps your posts from cluttering your followers’ news feeds with several posts all at once. Now your followers will get them throughout the day or over the course of a week. It makes your customers feel like you are constantly sharing important information but doesn’t cost you an entire day of posting in order to do so. Buffer can be used on a variety of Browsers, including Safari and Chrome on a laptop or desktop. Additionally, they also offer an app for iPhone, iPad and Android phones and tablets. You can use this simple tool from anywhere, so if you read an article on your phone you want to share all you have to do is add it to the queue. You don’t have to wait until you get to a computer or copy and paste into each individual social media application. One update and it’s done. Add several social media posts all at once to the Queue and Buffer will take care of spreading them out through the day and week. Here’s a way to easily use your Feedly RSS feed app, in conjunction with Buffer. When I have some down time or when I’m waiting for an appointment, I simply open my Feedly app, and when I see a piece of content I think my audience would find useful, I simply hit the Buffer icon and it’s automatically sent to the queue. How easy is that! Getting content out quickly among all of your social media channels is super easy with Hootsuite. With this tool you can manage up to 100 social media networks and schedule up to 350 posts to go out automatically within your channels. This is a great tool to launch a social media campaign with because it is easy to use, offers extensive analytics and premium security. 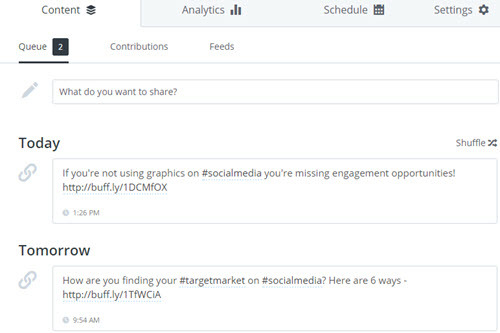 With Hootsuite, you can track engagements with Facebook, Twitter, LinkedIn, and Google Plus to see exactly how your campaign is performing. Hootsuite offers plans to fit every need. They do offer a free option, but it is very limited and would not be the best option for a business. They offer two business plans, one geared directly at small businesses and one for large corporations. With those three options, you can progress to what you need as your business continues to grow. One great feature of the two business plans is the ability to use the vanity URL shortener. While anyone can use a site like Tiny URL to shorten your links, the way a shortened link looks makes a difference for a business. With a vanity URL, your business is part of the link, making it look professional and also creating trust for your readers when clicking the link. There are other sites out there that offer similar features. Buffer and Hootsuite are two of the most popular options, allowing you to get the most use either for free or for a small dollar amount. Other sites include SproutSocial, Tweetdeck and SocialOomph. For the businesses that primarily use Facebook as their social marketing channel, Facebook actually offers its own post scheduling option. You are able to schedule an unlimited amount of posts on the standard Facebook platform to go out at a specific time. To find out the best time for your posts to be released, tap into Facebook insights for a previous post to see your best traffic and engagement times and schedule your posts based on those. Regardless of which application you choose to use for your social media needs, you will be saving yourself hours by utilizing the tools to schedule posts instead of posting in real time. Do you need help creating a social media system for your business? We can help! We now offer social media updates on Facebook, Twitter and LinkedIn, crafted just for your company. Packages range from 40 to 150 posts per month.